Why Is The East Coast Of The USA Colder Than The West Coast? The gargantuan Niagara falls have frozen, over 1,000 flights have been cancelled across the Midwest and the East, frostbite and hypothermia are affecting people like the common cold, and pipes are freezing up. It’s almost like we’ve gone North of the Wall. 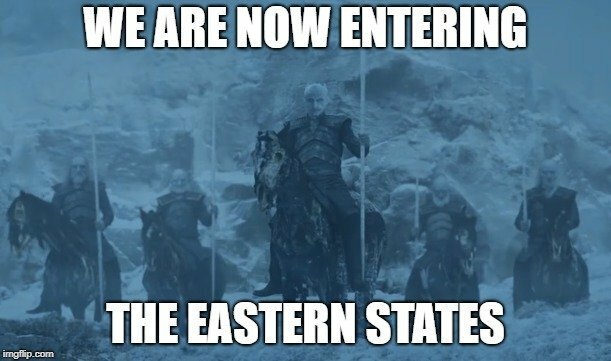 White Walkers have probably been spotted close to Buffalo. Winter in the USA has arrived. It’s only going to get worse, as a polar vortex from the Arctic Ocean has found its way onto the continent. In fact, the cities that will receive the most snowfall lie near the East coast. Meanwhile, the West Coast is enjoying weather that is chilly, but not overly harsh. With the Sun out from behind the clouds from time to time, life isn’t too bad for people living on the West Coast. What gives the East Coast its extra chill? There are several factors responsible for the chilly climate on the east coast of the United States, one of them being ocean currents. Ocean currents have a massive effect on Earth’s climate. They are the natural thermostats that keep the temperature of land in check. For instance, equatorial regions receive large quantities of sunlight. This means that these areas should get warmer and warmer as more sun falls on it, but this isn’t always the case. 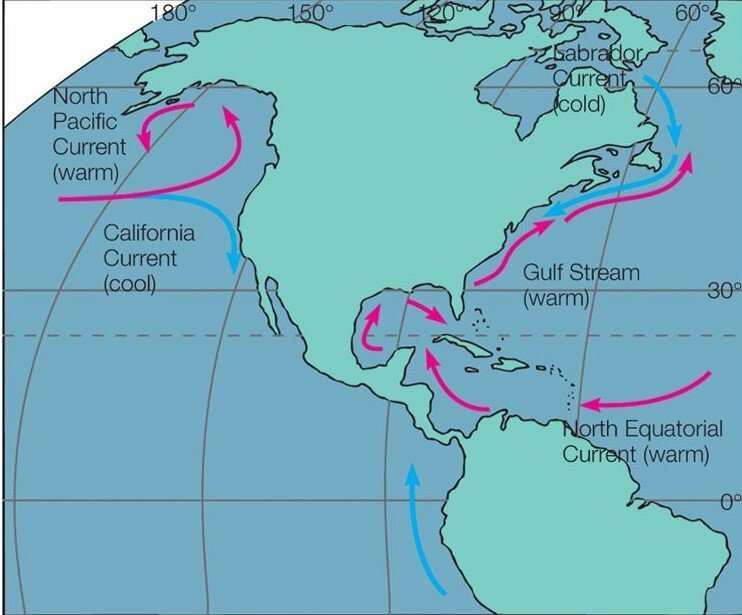 Ocean currents play a major role in keeping the temperature in check. These currents and winds transport heat from lower latitudes to higher latitudes, i.e., near the poles. The ocean has the capacity to store large quantities of heat on its surface, which is then transported by the currents. This process is a natural climate controller, as it facilitates the transfer of heat from the Equator to the poles. Another factor that severely affects the East Coast is the westerly winds, i.e., winds originating from west of the coastal mountain ranges. Land has a lower heat capacity than oceans, and it also heats and cools faster than oceans. During the winter, land is much colder than the oceans. When the westerly winds blow over it, the air cools substantially. By the time it reaches the East Coast, the moist air is cold enough to convert into snow. Thus, the East Coast experiences extreme cold weather during the winter. What are the governing factors of West Coast weather? 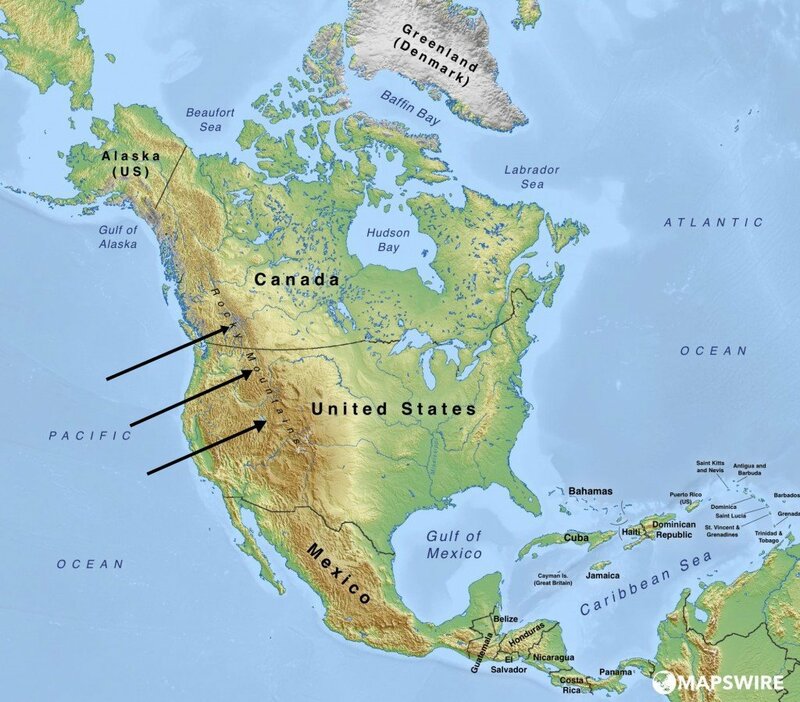 The weather of the West Coast has 2 major influencers – the Pacific Ocean and the mountain ranges along the coast. These two work in unison to create a very unique weather pattern. 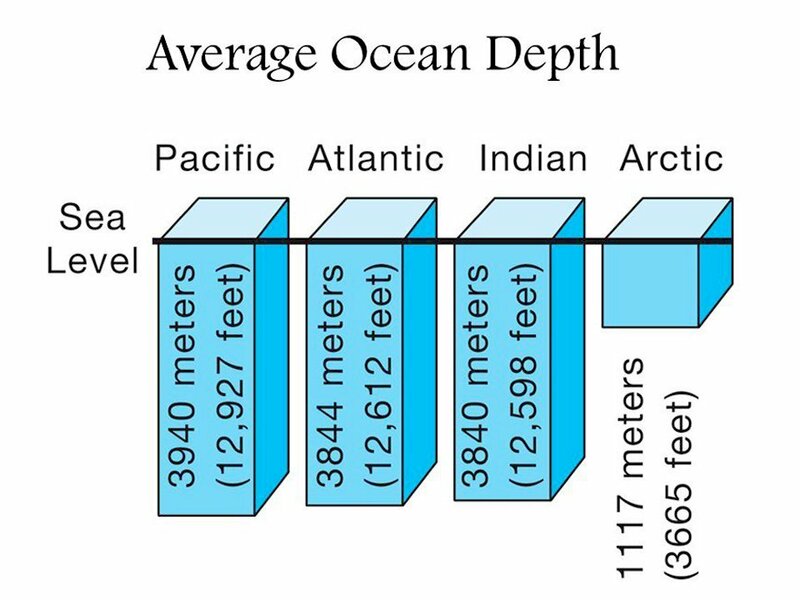 The Pacific Ocean is one of the deepest oceans on Earth, and is known to have sudden drops in its sea bed, resulting in highly unusual topography. The water near the coasts has a substantially deep seabed, which results in water experiencing a steep temperature gradient. Sunlight has a greater area and depth for dispersion than land. The water at the surface is warmer than the water at greater depths. The mountains that line the coastline have an effect on both the East and the West. The water over the oceans is relatively warm. It heats up its surrounding air, resulting in warm, moist air. This air rises up over the Pacific and moves towards the land. As the air rises upwards, it cools and condenses into rain. This results in the west coast receiving high levels of precipitation towards the west of the mountains. The weather of cities such as Seattle and Portland is governed by this phenomenon. This is why the West Coast is largely characterized by temperate conditions in the summer and winter. What is responsible for the unusually cold winter of 2019? If you have been following the news, you are likely aware of the extreme chill that has been terrorizing the East Coast since the beginning of January. As of this writing, Chicago is officially colder than parts of the Arctic, Antarctica and even Mars! What is happening in the East Coast? The reason behind this extreme weather is a phenomenon called a polar vortex. 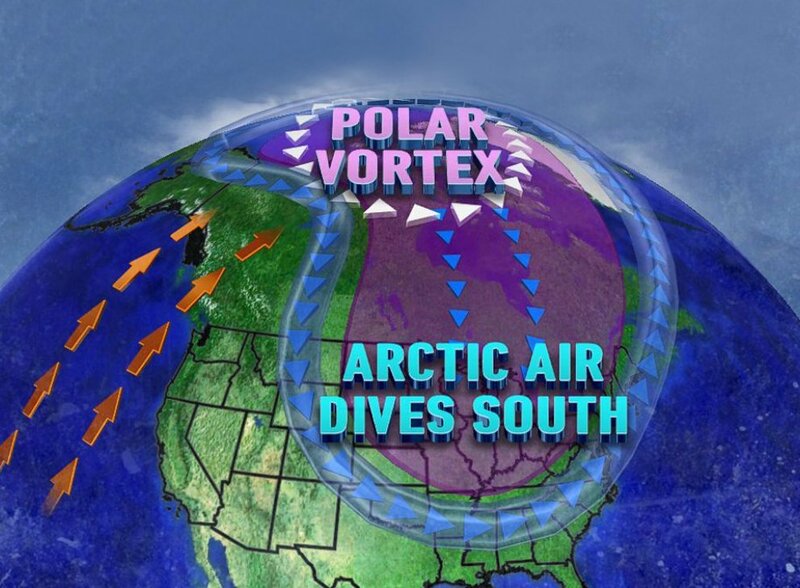 In its normal state, extremely cold air remains locked up in the Arctic in the form of a vortex. It is a large area containing cold air at low pressures that surrounds the Earth’s poles. This vortex keeps the cold air roped inside of it. During the winter, more and more air becomes locked in the vortex. As it expands, it becomes unstable and sends out cold winds to the South. This is exactly what has happened in the United States. Major cities on the East coast are experiencing extreme cold weather as a result. It has essentially brought life to a standstill, but this isn’t the first time a polar vortex has caused such mayhem in the country. You might remember similar weather that affected a major chunk of the country in January 2014. Due to these seemingly unusual weather conditions, many people are led to wonder whether global warming is real. Well, it’s absurd to think that it isn’t. That is like saying poverty doesn’t exist just because people around you are wealthy. These extreme weather conditions last for only a short period of time and are localized to a specific region. The overall climate change is an indicator of the rapidly increasing temperatures of the planet. 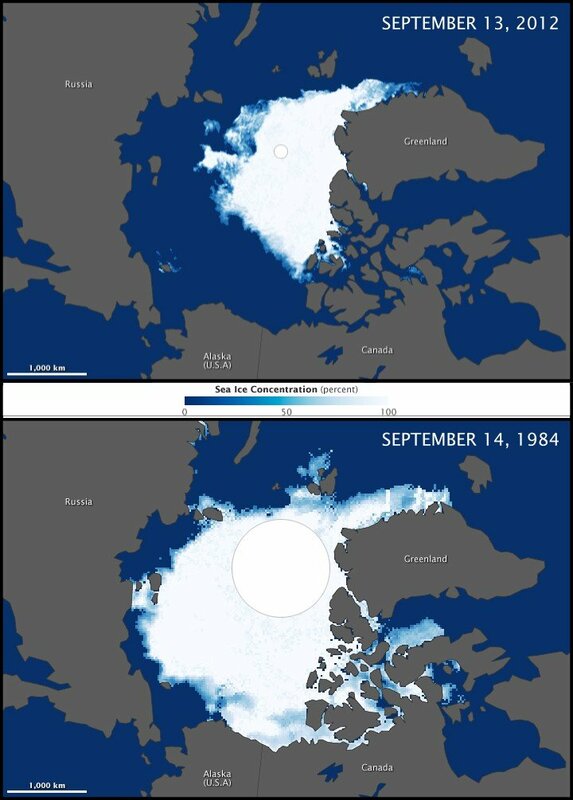 Satellite image indicating the dwindling permanent ice in the Arctic. Thus, the idea that global warming doesn’t exist because of such temporary (albeit extreme) conditions is a complete myth. In fact, global warming is probably contributing directly to these erratic weather conditions. In conclusion, the variations in weather on the East and West Coasts, and the current polar vortex emergency, is purely a geographical phenomenon. That being said, global warming deserves a fair share of blame for the intensity of the weather phenomena in these regions.